The normal alignment of the spine, from neck to low back, should be straight, like an arrow, when viewing it from the front (or back). From the side side, the spine has three normal curves. The neck, in particular, is a segment of a circle, so it has a ‘C’ shaped curve from the side view. 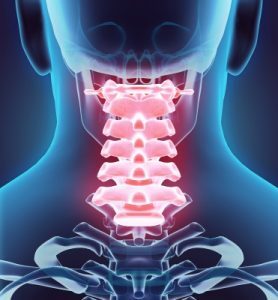 When the neck is aligned well in it’s normal position, it is protecting the spinal cord properly. This means the spinal cord is not being stretched or tension. Why is this important? Because the spinal cord is the connection between brain and body. Your brain send information to and from all body parts through the spinal cord. The spinal cord is like a pipeline that feeds life into your body. So, it makes perfect sense that the spinal cord needs to be protected with an optimally aligned spine. However, when the neck shifts out of it’s normal alignment, this begins to cause devastating health problems. An abnormal shift in the neck is called a spinal misalignment, also know as a vertebral subluxation. Vertebral subluxations can involve one vertebra (segmental subluxation) or a series of vertebrae (global subluxations). Subluxations will cause nerve irritation, pressure on the spinal cord, and an overall interference with the flow of information from brain to body. The consequence can be pain, numbness, tingling, weakness, fatigue, muscle spasms, and damage to organ systems. Also, a misaligned spine is more susceptible to premature aging and wear-and-tear of joints and bony tissues. This wear-and-tear is called osteoarthritis or degenerative joint disease. It’s interesting to note how important normal spinal curves are. Having normal spinal curves is an essential requirement to optimal health. But let’s look at the relationship between abnormal neck curve and neck pain. Also, this research showed that people who have a neck curve measuring 20 degrees or less (63 degrees is considered normal) are two times (2x) as likely to experience chronic neck pain. And … people who have a straightened or reversed curve are eighteen times (18 times) as likely to experience chronic neck pain. So, it is absolutely crucial that your neck is aligned in it’s optimal alignment from the front and curve from the side. It means less likelihood of pain, less likelihood of disability, less premature aging of the spine, and overall better quality of life. 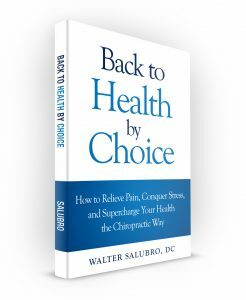 Chiropractic is the only health care discipline that is focused primarily on detecting and correcting spinal alignment problems and spinal curve problems. Corrective chiropractic care, which is what we do our office, is a specific, advanced, and evidence based care with a focus on correcting global spinal misalignments. Corrective chiropractic helps with neck pain relief by restoring the spine to it’s normal alignment. It’s about correcting the underlying spinal problem that is causing the neck pain. The result is relief from that nagging, chronic neck pain. If you have neck pain that has persisting for longer than six months, be sure to get it check by a corrective care chiropractor. Even if you have acute neck pain, get it checked by a chiropractor because the earlier you make corrections to the spine, the healthier your spine will be, the less damage your will sustain on your spine, and the healthier you will become in the long run. 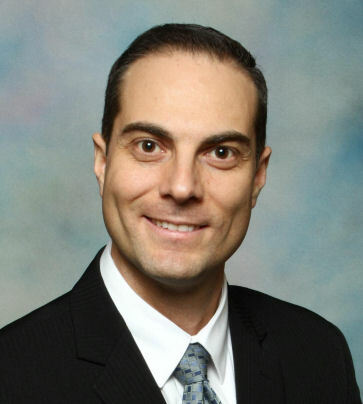 Schopflocher, D. , PhD, Taenzerm, P., PhD, and Jovey, Roman, MD. “The prevalence of chronic pain in Canada”. Pain Res Manag. 2011 Nov-Dec; 16(6): 445–450.